Adjusting your environment can help increase your feelings of physical and emotional safety. In our world of twenty-four-hour news cycles, heavy workloads, and a constant barrage of electronic stimuli, it’s easy to feel overwhelmed or anxious. Often, these feelings of tension get carried home with us, making the world’s stresses feel inescapable. Luckily, there are lots of ways to make your apartment, home, or dorm room feel like a quiet, peaceful oasis in an otherwise chaotic world. What Is a “Safe Space”? The term “safe space” has several definitions. It can refer to a space where dialogues are open and free of judgment or a space that is physically protected from any sort of threat, like discrimination or violence. When thinking about your home, a safe space might be one that creates a feeling of emotional and physical safety. Your safe space can counteract any stresses or anxieties that crop up when you’re away from home. To create an environment of safety, start by identifying the various pressures in your life and build a space that creates some relief. It’s hard to feel comfortable when you’re nervous about your physical safety. Maybe you’re living in a busy neighborhood or a crowded apartment building where privacy is limited. In these environments, your home should act as a defensible space where you’re able to relax and unwind. You can use a home security system to create a physically safe space. These systems can be tailored for any budget and any style of residence, and the best systems use smart features like automatic door locks or doorbell cameras, which can increase positive feelings of protection and security. Creating an emotionally satisfying space at home is an innately personal process. Your home should be a familiar place, and your décor should reflect your unique personality and your unique emotional needs. To get started, assess your space to see where your home could align better with your personality. Creating a sense of emotional safety starts with the elimination of common stresses. Your smartphone, laptop, tablet, or television might be a conduit for some of the anxieties in your life, whether through a work email or a news program. Creating a space for emotional safety might mean unplugging from your electronics during certain times of day or making sure certain objects and devices stay in designated rooms. Your brain learns to associate the different areas of your home with the activities you perform in them. Defining the different areas of your home according to their purpose can help you feel more harmonious in your space. For instance, if you’re used to watching television in your bedroom, it can make it difficult to fall asleep since your brain associates the room with a stimulus. You can turn one area of your home into a meditative space, free from distractions and stimuli, in much the same way you separate rooms for sleeping, eating, and showering. Your safe space should be clearly defined so that your brain learns to associate it with a sense of calm and relaxation. Try and resist the urge to use your meditative space for work or leisure. The aesthetic of your environment can have a strong therapeutic effect. 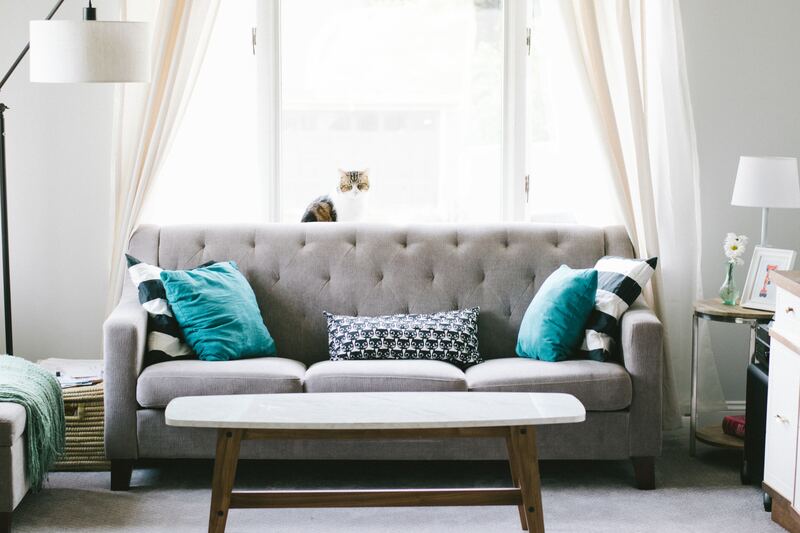 Decorating your safe space can be a great way to express yourself while tapping into your brain’s favorite relaxation triggers. Consider using aromatherapy with candles, incense, or essential oils. Scents like bergamot, lavender, and rose are commonly associated with stress relief and relaxation. Color therapy has a similar effect—a fresh coat of blue, green, or grey paint in muted tones helps encourage feelings of well-being and emotional safety. Defining a safe space can be difficult when you’re sharing your living space with family or roommates. Part of creating a safe space at home may involve communicating with the people you live with. Start with an open and honest conversation about your safe space. If you need a bit of time to yourself, ask your friends and family to respect some allotted “you” time. If you’re looking to create a space for clear communication and openness, lay down some ground rules for conversation within your safe space. Knowing you have physical safety and addressing your emotional needs at home through the creation of a safe space can have a positive effect on almost every aspect of your life. Once your home acts as a recharging, rejuvenating space, you’ll have that help to handle anything life throws at you. Alex Haslam is a freelance writer who focuses on connectivity, specifically in the ways we use technology to improve our lifestyles, careers, and relationships. In her free time, she loves playing and listening to music and having long conversations about her favorite TV shows.